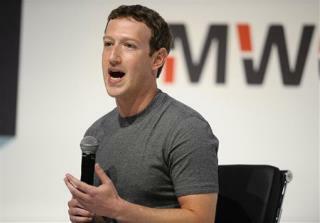 (Newser) – There's one question Mark Zuckerberg needs to ask before he'll hire anyone for the Facebook team—and it's a question he asks of himself, not of the applicant. Specifically, he told a group in Barcelona at the Mobile World Congress, he asks himself if he'd be happy working for the applicant. "I’ve developed over time a simple rule which is that I will only hire someone to work directly for me if I would work for that person," Zuck said, according to the Blaze and Tech Times. "It's a pretty good test and I think this rule has served me well. I think as long as you have that as your rule for picking the people you work with, you're not going to go wrong." I wouldn't work for him. This is a variation of "I only hire people who are just like me, and who agree with everything I say." This type of thinking is what limits the catalyst for change in most large companies.